“In the past few years, I’ve taught nonfiction writing to undergraduates and graduate students at Harvard, Yale, Bard, Pomona, Sarah Lawrence and Columbia’s Graduate School of Journalism. Each semester I hope, and fear, that I will have nothing to teach my students because they already know how to write. And each semester I discover, again, that they don’t. “A new order of knowledge for cultivating lifelong learning. “Our whole theory of education,” Henry Miller famously lamented, “is based on the absurd notion that we must learn to swim on land before tackling the water.” With its factory schooling model, its biologically unsound schedules, and its failure to account for different types of intelligence, the modern education system leaves much to be desired in terms of encouraging creativity, critical thinking, and hands-on learning. 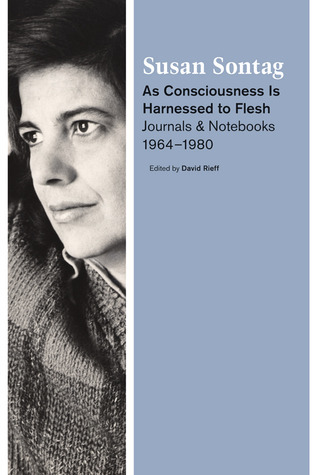 From the recently released volume of Susan Sontag’s diaries, As Consciousness Is Harnessed to Flesh: Journals and Notebooks, 1964-1980 (public library; UK) – one of the best psychology and philosophy books of 2012, which gave us Sontag’s wisdom on writing,boredom, censorship, and aphorisms, and her illustrated insights on love and art – comes a somewhat radical but in many ways brilliantly sensible vision for education. Writing 40 years ago, in a diary entry from January of 1973, Sontag inverts the traditional sequence of schooling, envisioning for education what Stefan Sagmeister has done for work with his model of time-shifted retirement via distributed sabbaticals, and above all seconding Miller’s insistence on learning by doing. Why not eliminate schooling between age 12-16? It’s biologically + psychologically too turbulent a time to be cooped up inside, made to sit all the time. During these years, kids would live communally – doing some work, anyway being physically active, in the countryside… Those four ‘missing’ years of school could be added on, at a much later age. At, say, age 50-54 everyone would have to go back to school. (One could get a deferment for a few years, in special cases, if one was in a special work or creative project that couldn’t be broken off.) In this 50-54 schooling, have strong pressure to learn a new job or profession – plus liberal arts stuff, general science (ecology, biology), and language skills. There would no longer be one huge generation gap (war), between the young and the not young – but 5 or 6 generation gaps, each much less severe. Early schooling – age 6-12 – would be intensive language skills, basic science, civics, the arts.